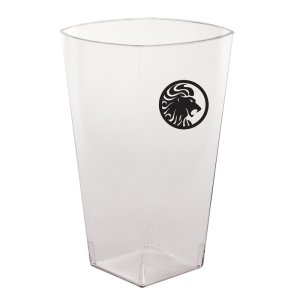 Our promotional clear plastic cups will look stunning when printed with your logo or design artwork! 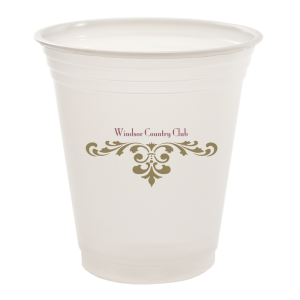 These customized plastic cups are perfect for all occasions and will make a statement at all your events. 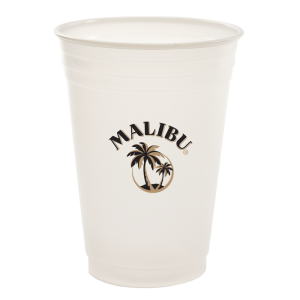 Party away guilt free as many of our disposable cups are biodegradeable and eco-friendly. 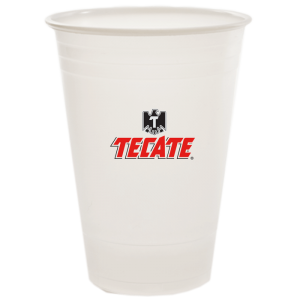 Print on these disposable plastic cups today and see your brand name soar. 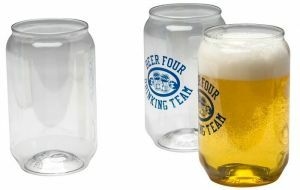 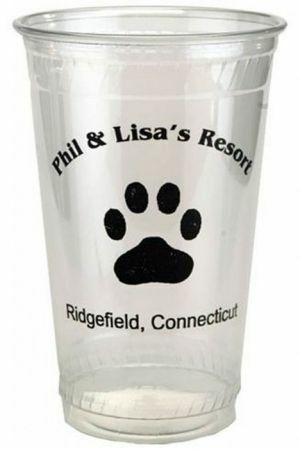 Our custom clear see-through cups have great quality and are printed here in the USA. 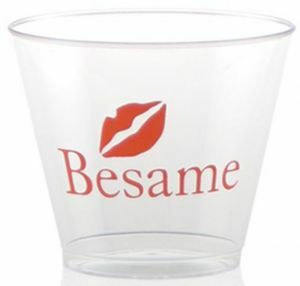 You will also be delighted with our cheap wholesale prices and fast production times - they can be customized and shipped out within three business days most of the time. 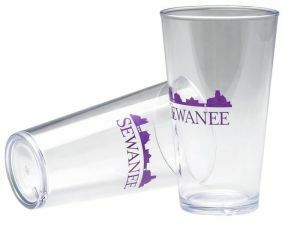 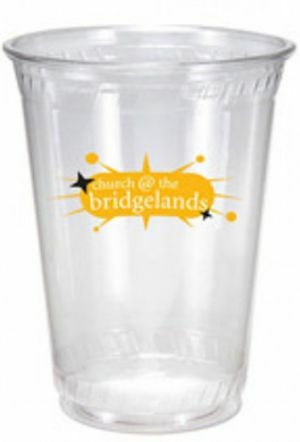 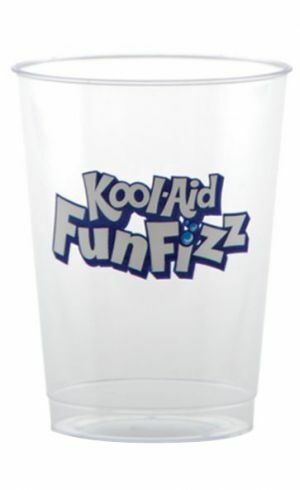 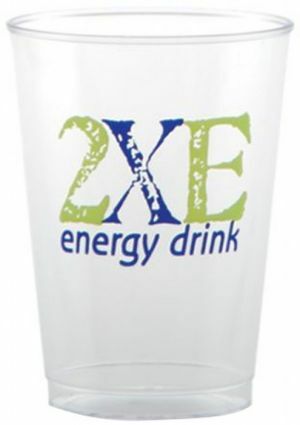 Our customizable see through clear cups are perfect for your parties, advertising events, and other campaign purposes. 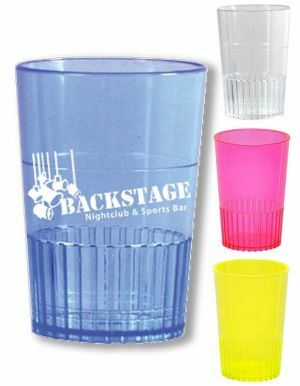 These custom plastic cups add cheer and color to all your events with your logo, message, or design printed in bright colors on them. 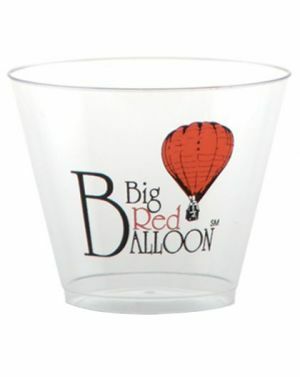 We match any pantone color for free, therefore staying true to your logo or design. 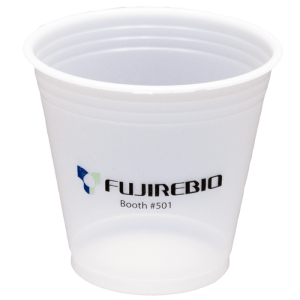 Depending on what you need, our promotional plastic cups are either soft-sided or rigid. 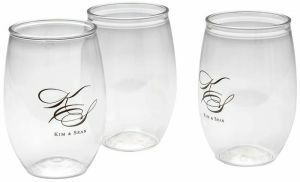 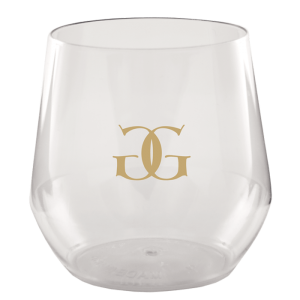 The rigid cups are perfect elegant disposable drinkware for more formal occasions and are perfect for wine or champagne. 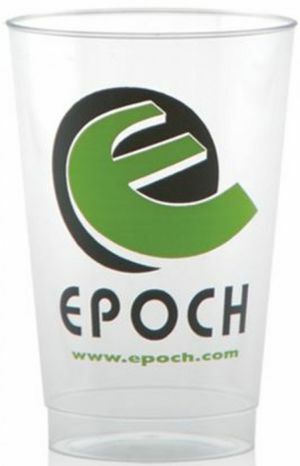 Our soft sided flexible clear plastic cups which are eco friendly and fully compostible, are favored more by restaurants and cafes due to their good quality yet low costs. 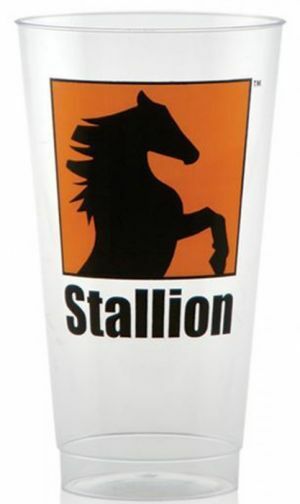 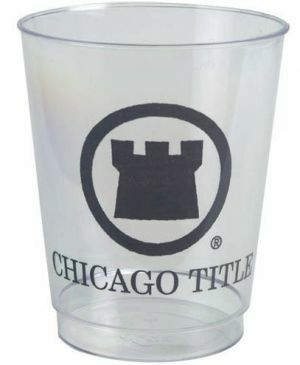 Many restaurants and cafes love our imprinted clear see-through cups as they are perfect for cold beverages of all sorts.Your logos and designs will really pop on the clear background of our printed plastic cups. 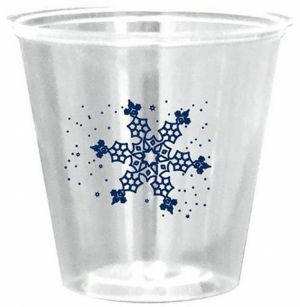 Best of all, our wholesale clear plastic cups have cheap bulk pricing, so ordering these from us definitely doesn't hurt your pockets. 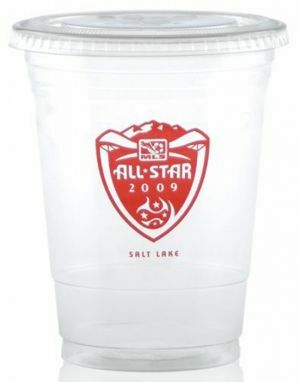 We also sell lids seperately for these wonderful customized plastic cups, and the lids come in especially handy for cold beverages like soda, ices, or slushies. 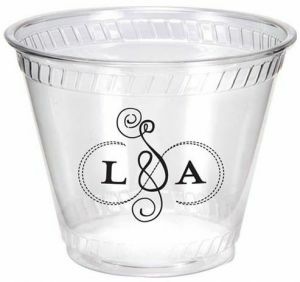 Besides company events and other commercial purposes, our personalized clear cups are also perfect for more personal occasions and parties like birthdays, weddings, baby showers, pool parties, bah mitzvahs, and other celebratory happy events. 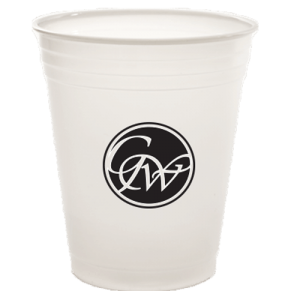 Our logo disposable cups have low set-up costs and we also print and ship them out super fast - usually ships out the door in three working days. 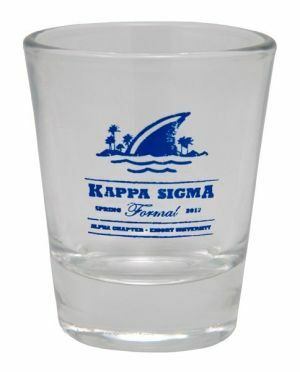 If you have a rush event coming up - no problem! 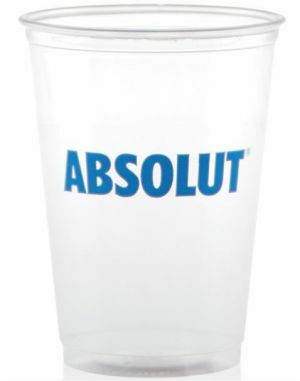 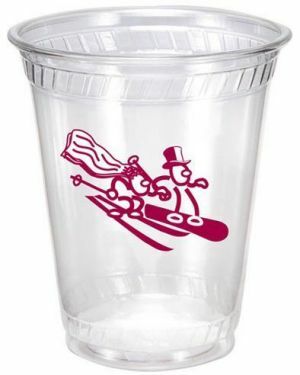 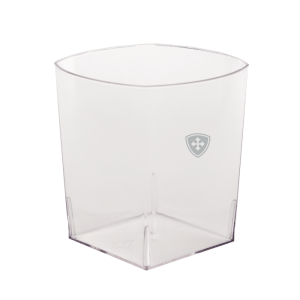 We will do everything we can to deliver these promotional clear cups to you in time to make your event a success. 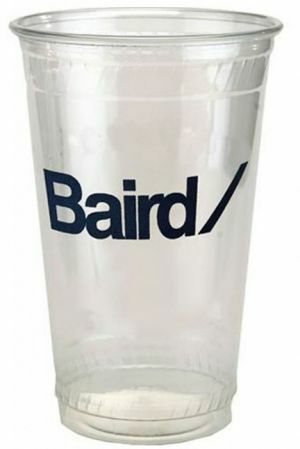 Just call our expert customer service hotline and we will help you from start to finish. 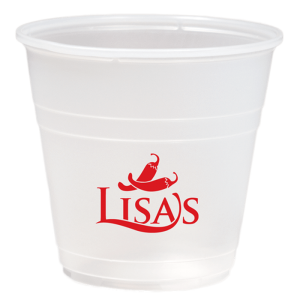 Order these custom plastic cups today in bulk for your next campaign or event, and see your brand name remembered fondly by your customers.